From finding the perfect gown to making all the necessary alterations, it is important that your wedding dress makes you look and feel better than you have ever felt before. 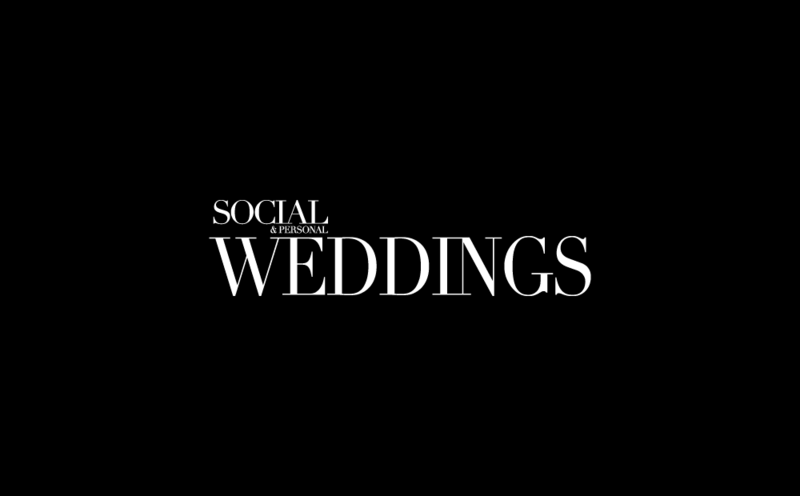 From trying various styles on to your final fitting, Social & Personal Weddings advises you what to expect. Think about your venue and the style of the wedding, an extravagant ball gown can be overkill for an intimate ceremony at the registry office. Make sure you bring a strapless bra and suitable underwear with you to all boutiques, you will be next to naked with a virtual stranger as they help you in and out of the gowns. Bring along tears of any dress styles which appeal to you – if you are not sure, don’t panic, the boutiques will be more than happy to help you find the best style for you. Have a price in mind and be open with the boutiques from the start – don’t fall in love with a gown that is completely out of your price range. Make appointments – most bridal boutiques have a strict rule of one bride in the boutique at a time – this allows them to give you their undivided attention for an hour so make sure you call ahead to book in. Avoid making more than two appointments in one day as this can overwhelm you and can confuse you later as to what you saw. Be open to different styles – dresses look completely different on the hanger than they do on a bride so listen to the recommendations from the lovely ladies in your bridal boutique. They do this every day and know what works, and what makes their brides happy, so give them a chance – you have nothing to lose! Ask the assistants in the bridal boutique which style underwear is best suited to your gown and invest in this for your fitting –underwear can completely change your silhouette and how a dress fits you so make sure you get this right. Make sure that the dress is the correct size, colour and design – see what alterations need to be made. Is it bunching or puckering anywhere? Look at the seams and any embroidery or embellishment – are these all in good condition? How is the height? Does it fit properly around the bust and the waist? Now is the time to speak up so make sure you are happy with each and every element. The sample gown you previously tried on gave you an idea of the style but the fitting should be all about how the gown fits and flatters you. Bring the shoes which you will be wearing on the day so you can get an idea of how the dress falls and if the hem needs adjusting. If you have accessories in mind, bring these along so you can get an idea of your overall look for the day. While not crucial to fittings, it can be a good idea to schedule your hair trial for a morning before one of your fittings so you can see how this style goes with your gown. Book in early in the day so you can see how your hair lasts the day and make note of any touch-ups which need to be made throughout the day. Firstly, address all concerns from the last fitting and ensure these have been tended to. Make sure that you can move comfortably in your dress and that you can sit down in this – you will be sitting for a great amount of time at the meal to ensure you are comfortable. Check that your dress stays in place as you move around – if you have a strapless or low-cut neckline make sure there are no “slips”. Bring along your maid of honour and your mum so they can learn about the dress and how to help you get in and out of it on the day. Figure out the best method for toilet trips on the day. Find out the best way to fix any last minute wrinkles, should it be steamed or ironed? The number of fittings will vary per bride, some only require two fittings, some will need four – on your final fitting ensure that your dress is exactly how you want it to look on the day. 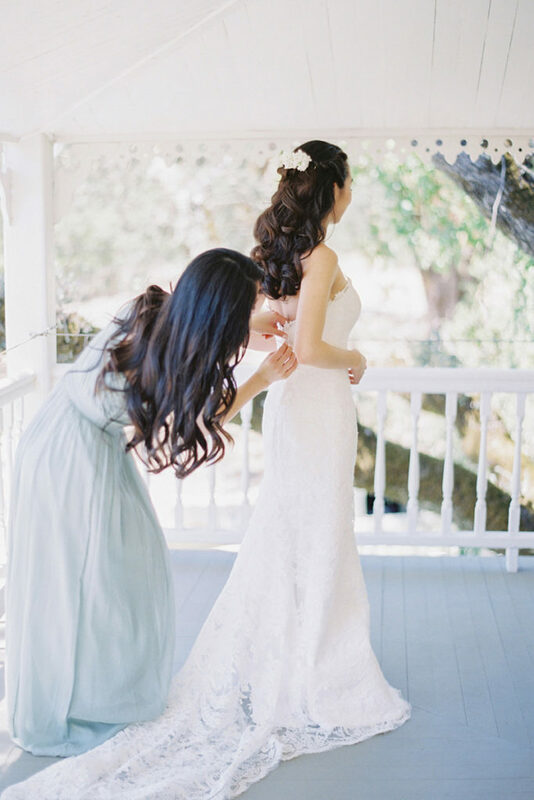 There shouldn’t be a thread out of place to make sure that everything is perfect, take the time to examine each and every part of the gown to avoid any panic or upset on the morning of your wedding.